If we asked you to describe an effective digital marketing campaign, you might tout the value of strong design, ad targeting, or the benefits of conversion optimization. But even if your web and landing pages are aesthetically on point, it can mean nothing if you haven’t considered page speed. For context, if it takes more than three seconds for a page to load, just over half of visitors will leave it. Put another way, for every second of impatient agony you’re causing visitors with slow load times, you’re losing conversions and profit. Beyond your bottom line, page speed also influences how your content ranks with Google. In July of this year, the search engine announced that speed will have a more prominent effect on the ranking of mobile searches. So if you want your landing pages and web pages to appear in the SERP (paid or search), you need them to be lightning-fast. To paint a picture of why load time is so essential, we’ve collected seven stats about page speed. We’re currently doing some original research of our own on this, but for now, read on to learn why slow and steady doesn’t win the digital marketing race and use these fast facts to make the case for speeding up your landing pages. That “original research”? Yeah, we published it. 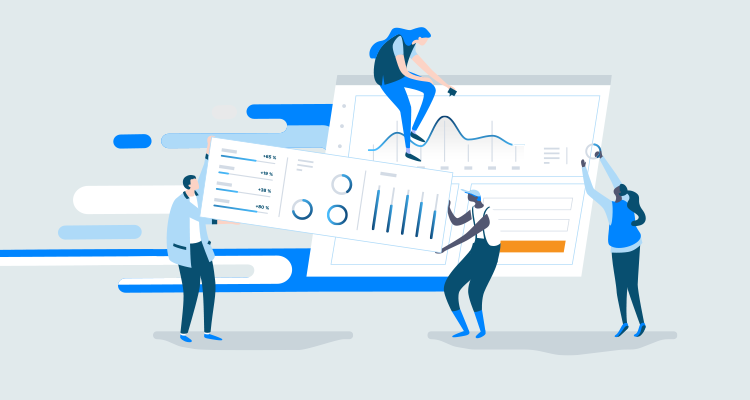 Check out our 2019 Page Speed Report to discover the real impact of page speed on conversions (and find out what other marketers are doing about it). When creating a landing page, you consider several factors (layout, content hierarchy, visuals, CTA, and more). But as Google encourages, page speed needs to be a priority too. Your visitors don’t like waiting—and their frustration has only grown since the 2015 survey linked above—so always consider load time (regardless of device) just as much as traditional design elements. Watch your image sizes and compress any that are borderline too heavy. Anything above 800kb is pushing your luck in the speed department. (And that’s on simulated 4G and everything!) But that’s also just accounting for mobile—in general, pages can load much faster on desktop. According to the latest from Pingdom, for example, most web pages load in just 3.21 seconds. At a minimum, you should aim for a load time of three seconds or less—especially if you want to boost conversions. When Akamai studied how mobile load times affected a client’s conversions, they discovered that 2.4 seconds was the sweet spot, averaging a peak mobile conversion rate of 1.9% during a 30-day span. On the flipside, when their client’s site loaded in 4.2 seconds, the average conversion rate dropped below 1%. Ultimately, aiming for anywhere between 2.4 to 3 seconds on mobile and desktop is a smart move. While you can definitely aim for quicker than five seconds, the point here is that the longer people spend on your pages, the more time they have to consume your content and actually convert. You work hard to build persuasive offers—so keep visitors on your landing pages by ensuring that they load quickly enough for them to actually see (and understand!) your key messaging. Similar to Google’s stat about conversions dropping by 12% for every second of load time, Akamai comes to the table with another time-is-money figure. According to their research in 2017, one full second can decrease conversion rates by 70%! So, in addition to losing visitors, page speed is directly tied to losing a lot of potential revenue—something Mobify discovered when they decided to examine the effects of homepage load time. In its 2016 Q2 Mobile Insights Report, the online shopping platform revealed that every 100-millisecond decrease in load time worked out to a 1.11% increase in session-based conversion. But remember, page speed doesn’t just affect organizations that sell products and/or services, as evidenced by Pinterest’s decision to rebuild their pages for performance. By reducing wait times by 40%,the sharing platform increased both search engine traffic and sign-ups by 15%. Hey, we’ve all been there. Even though faster speeds are constantly being offered to visitors (via telecom ads, internet providers, etc. ), many websites still aren’t loading fast enough. That’s bad news for visitors, but great news for you in that there’s an opportunity to stand out if you speed up. SEMrush reports that “if your site loads in 1.7 seconds, it’s faster than approximately 75% of the web.” Use this as an opportunity for your brand to make a competitive move with websites and landing pages that load faster than most. It’s time to make speed a priority. The online shopping experience isn’t just about website aesthetics or customer service; it’s about overall performance, which includes page speed and responsivity. This stat shows that something like a slow loading site can easily turn visitors away—sometimes for good. A high bounce rate indicates visitors aren’t staying on your website for very long—I mean, sure they’re landing there, but they’re not consuming more content than the page they’re on right at that moment. And who knows how much of it?! This can mean they’re not clicking your CTA to a next step, nevermind learning about your key value prop. It can be difficult to determine why, exactly, someone has left your landing page—poor audience targeting? Uninteresting content? Not enough multimedia? And if page speed is affecting bounce rate, you might begin to second guess your content. Save yourself some time (and confusion) by prioritizing page speed via solutions like Accelerated Mobile Pages (AMP). Are slow loading pages affecting your digital marketing campaigns? 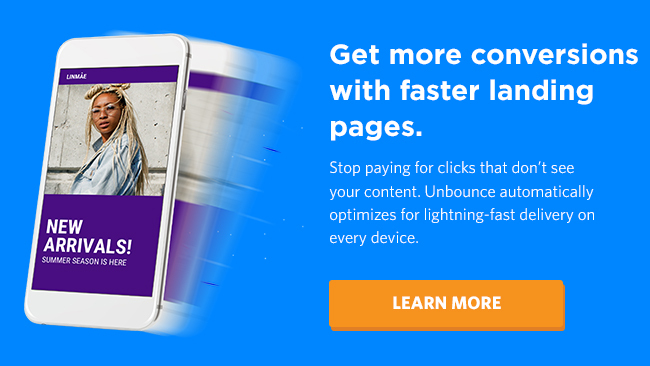 Build AMP landing pages with Unbounce and give your visitors a near-instant mobile experience. Now, returning to our question about the most important thing to consider when designing a digital marketing campaign? Hopefully, with all of these stats in mind, you have a new perspective. Page speed is one of the first things visitors experience when they arrive on your site or landing page, and as load time continues to become a priority (for both mobile and desktop environments) it will only be more integral to the success of your online strategy—so you gotta hurry up!